This is where Pippi lives, all by herself in a big yellow house called Villekulla Cottage. Sometimes Dunder-Karlsson and Blom come to try and steal Pippi’s bag of gold coins. Right next to Villekulla Cottage there is a lake on which Captain Longstocking has moored his ship Hoptoad. Between the performances, you are free to board the Hoptoad, climb around in Villekulla Cottage and look for things with Pippi and the others. 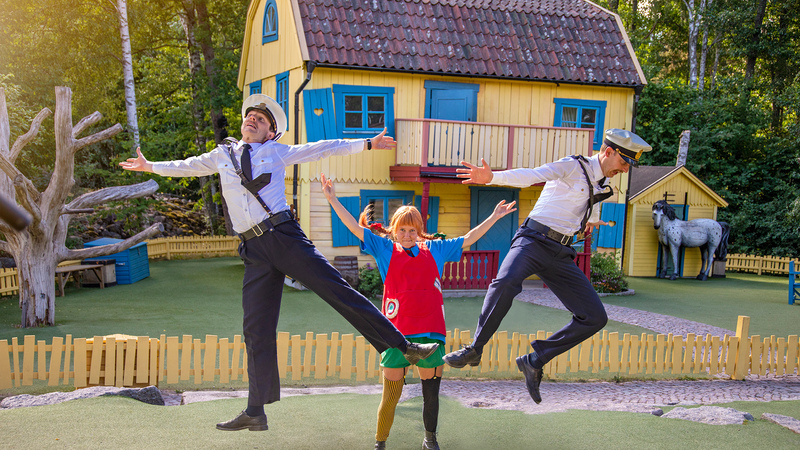 Here you can see performances from the start of the season, including ‘Sjörövarfabbes jänta’ (Fabbe the Pirate’s Lass), in which Pippi, Tommy and Annika set off to rescue Pippi’s father from the pirates. See the daily programme and our app for times of the performances and when Pippi is at home in Villekulla Cottage.